The Castle Garden is open every day during daylight hours. It is also available to hire by other community groups who want to run events in this beautiful venue. Please contact us if you are interested in Venue Hire. Entrance to the Garden is completely free. However, you are invited to leave a donation for the continued upkeep of this space. Please contact us if you would like to leave us a donation. We are unable to offer parking on-site, however there is parking available on Marketplace and Water Lane. Details can be found on Parkopedia. Malton is easily accessible by car from the A64, and once you have arrived there are places to park within a few minutes' walk of the Castle Garden. If you are planning on making a day of your visit, why not visit one of the many coffee shops and restaurants in town. The Station is a few minutes' walk from the garden, using our Castlegate entrance. (Temporarily closed) Full details of train times from your location can be found on The Trainline. Orchard Fields - Go up the hill on Old Maltongate and turn right at the entrance to Orchard Fields. Follow the path down with Orchard Fields on the left, and the Garden wall on your right. You'll see the big 'iron leaf' gates to the bottom of the path on the right hand side. If coming from the south via Castlegate head down past the fire station and turn left up onto Orchard Fields and the entrance is about 30m on your left. Unfortunately we would currently advise that the Garden is unsuitable for disabled access, though in good weather there are paths through the garden which may allow limited access. However, we are in the process of applying for funding for improving this. 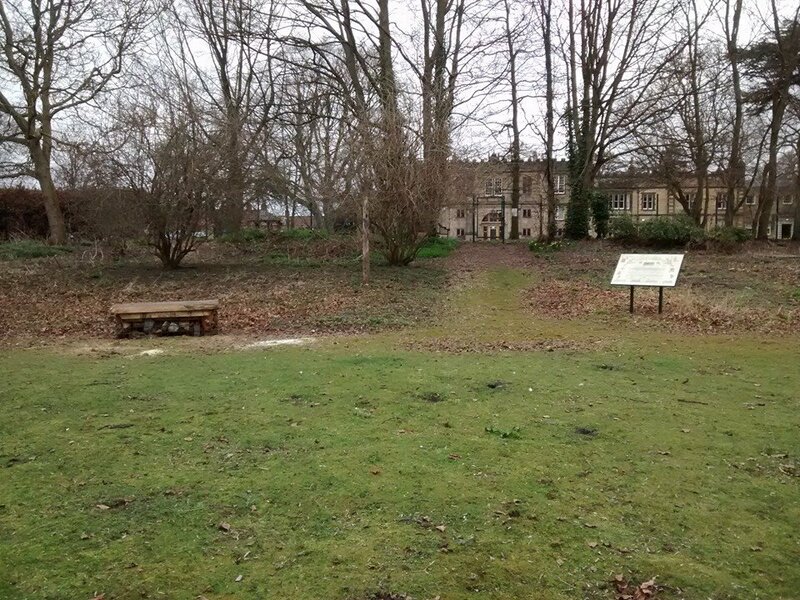 While facilities are limited on site, the garden is only 5-10 minutes from town the centres of Malton and Norton. For toilets, we would recommend the public toilets at Market Place and Wentworth Street - about 8 minutes walk. For refreshment, remember that Malton is the Food Capital of the North, and there are many restaurants and cafes nearby serving locally sourced produce. Dogs are not permitted in the gardens, with the exception of service dogs.